Following a three-month vacancy, the Round Hill Town Council is once again at full strength. The Town Council on Thursday night voted unanimously to appoint Melissa Hoffmann to the dais, filling a vacancy that was left by Michael Minshall on Sept. 7 when he resigned to prepare for a move to Missouri. Hoffmann will serve until Nov. 5, 2019, at which point the town will hold a special election to fill the seat for the remainder of the term, which expires June 30, 2020. The two-year town resident holds a bachelor’s degree in science and biology from Richard Stockton University and currently works as Lost Rhino Brewing Co.’s cellar manager in Ashburn. 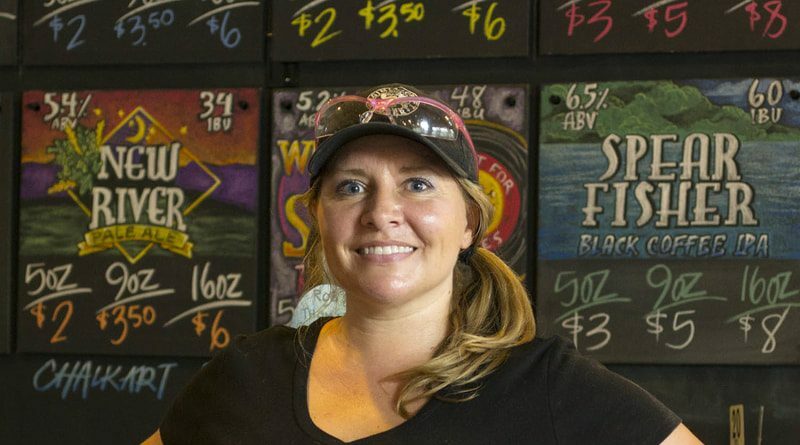 She also is a Girl Scout leader, the secretary of the Loudoun County Brewers Association and the food and beverage manager for Round Hill’s Hometown Festival. According to her letter of interest to the town, Hoffmann is a proponent of smart growth that protects open space and historic preservation. She feels that her organizational skills and background in project management will benefit the town. The appointment follows three months of scrambling to fill the spot. According to the Town Charter, the council has 60 days from the date of the vacancy to make an appointment, which created a Nov. 6 deadline. The town extended that deadline to Nov. 13, since it didn’t advertise the vacancy until Oct. 10. Michaela Van Mecl was the only one to apply by the deadline, but she retracted her application before Thursday’s meeting. Megan Albright also applied for the appointment. Both she and Hoffmann did so after the deadline.